Californian HYBRID, very early with high productivity (more than UC157 and Atlas), regular and with excellent presentation. It is characterized for the excellent quality of SPEARS and their good size, slightly anthocyanic color and bracts well stick to tips. 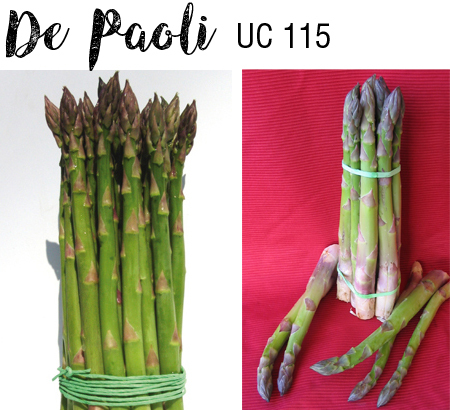 The variety is suitable for the production of green asparagus for fresh market in Mediterranean hot-dry climate areas, even for protected culture.